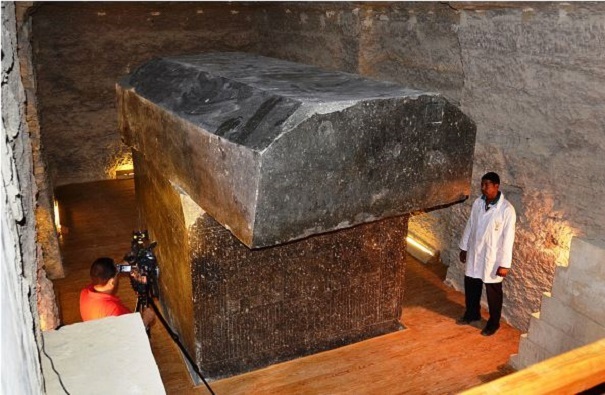 What appears to be giant stone coffins, each weighing upwards of 100 tons, have been uncovered in Egypt. These stone monoliths, thought to be at least 3,000 years old are cut with such precision scientists say they're not sure they could even emulate that precision today. Speculation is running rampant that they contain the bodies of aliens or were perhaps left by aliens. Believers know that to be false - could they possibly contain the remains of what the Bible calls "Nephilim" in Genesis 6 and Numbers 13?